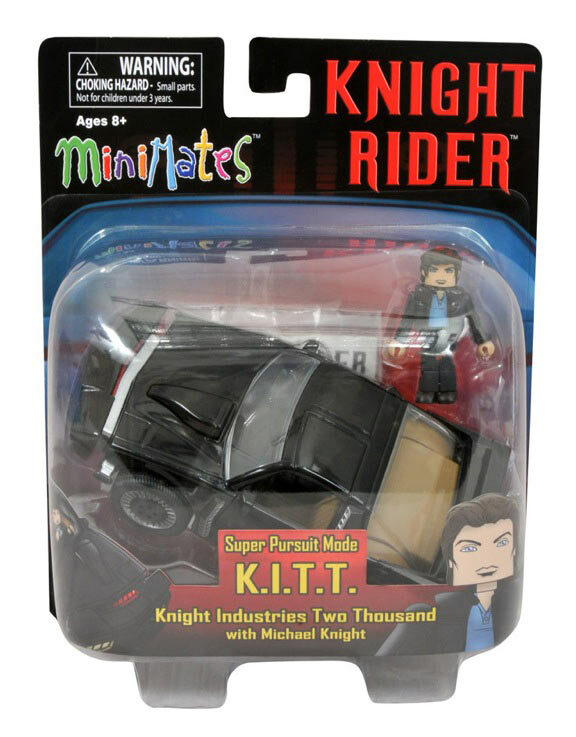 Knight Rider's KITT and More Minimates Vehicles are Arriving in Showrooms Soon! December 2011 - Looking for something new to park in your Minimate-sized garage, or perhaps your tiny boat slip? 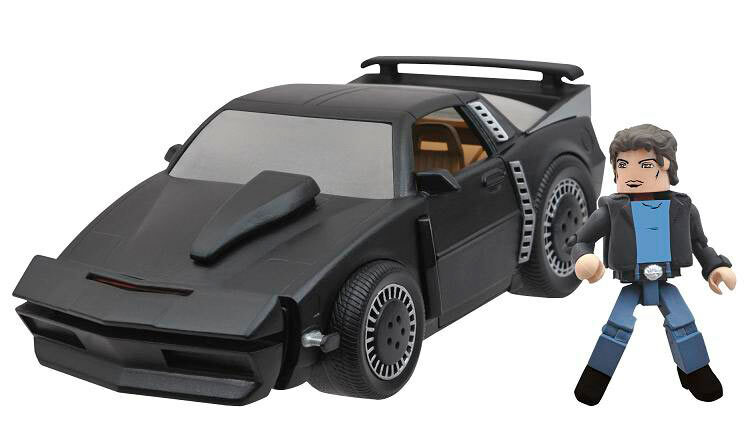 Diamond Select Toys has a fresh new line of Minimates vehicles for the 2012 model year. 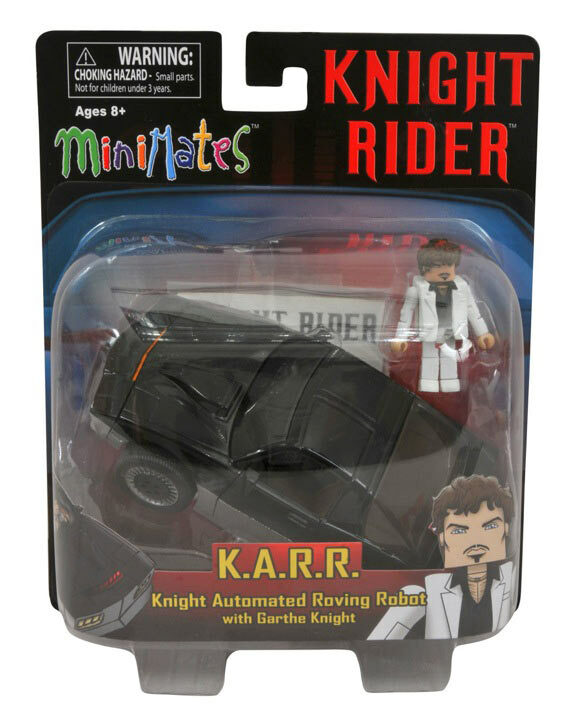 New road-going choices include KARR (Knight Automated Roving Robot) with Garthe Knight and Super Pursuit Mode KITT (Knight Industries Two Thousand) with Michael Knight from the classic Knight Rider TV series! 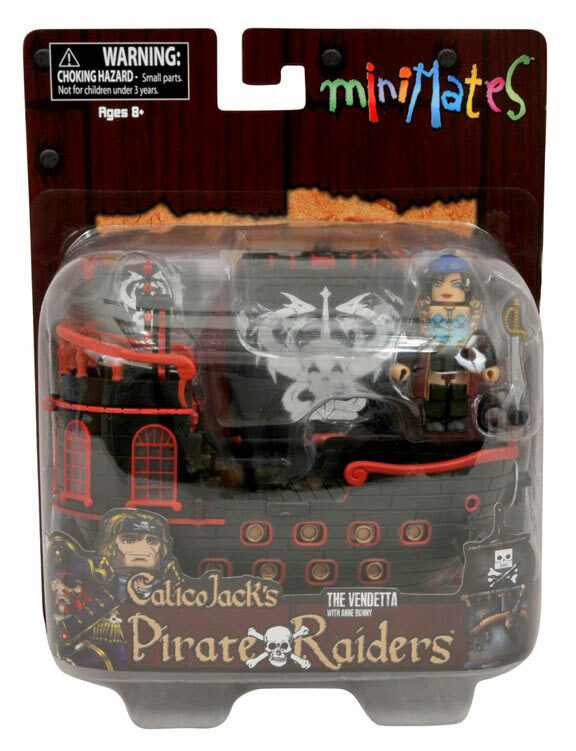 For those of you who prefer the boating lifestyle, we have a new addition to the Calico Jack's Pirate Raiders line, The Vendetta with Undercover Anne Bonny! 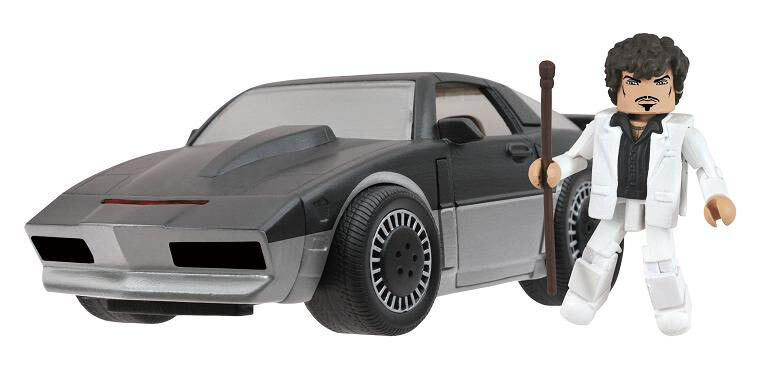 All of these exciting new 2"-scale vehicles come on a blister card and will be available at a comic shop or specialty store near you in January. You won't even need a test drive! 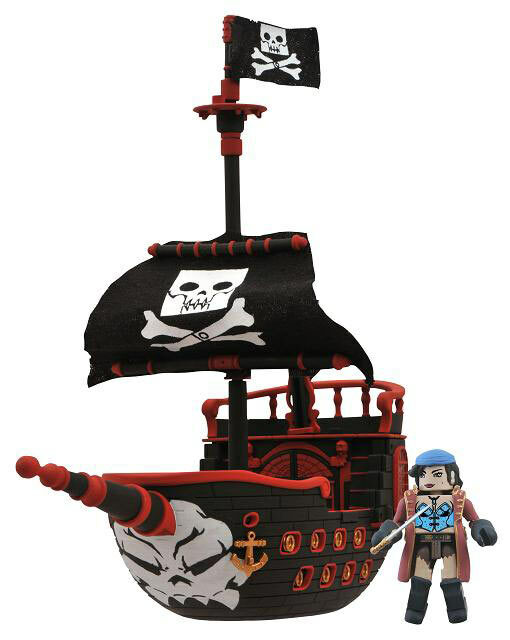 Get regular Minimates updates on Facebook and Twitter! And to see them all, visit Minimates.com!